A trip through the bountiful Lodi wine country is never complete without a little bubbly. In downtown Lodi, wine lovers pour into Weibel’s brand new tasting room, as the friendly staff pour their unique variety of sparkling, red, and white wines. 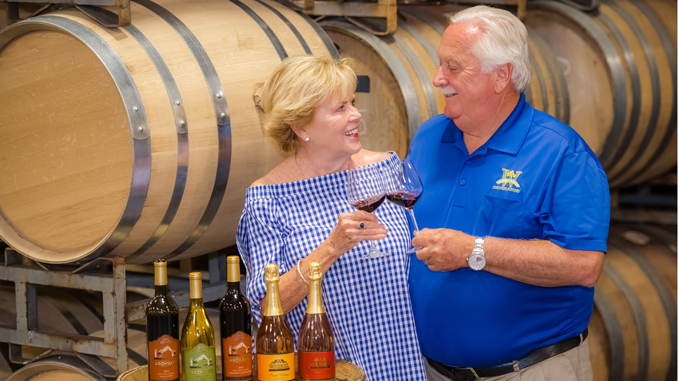 History: From Switzerland to California, the Weibel family has continued their passion for the winemaking trade, perfecting the art over three generations. Claim to fame: Weibel’s Grand Cuvee has a fine bubble composition with notes of peach and honeysuckle. This sparkler adds a touch of celebration to every day. Best for: Tasting sparkling wines and non-varietal table wines. In with the in crowd: Three annual shipments of 4 or 12 bottles, generous discounts on Weibel products, and exclusive invites to special events and wine pickup parties.